After a decade working in corporate finance in New York City and surviving a stroke that nearly took his life, he left to travel the US, Canada, Mexico and Central America to search for a deeper meaning in life. After two and a half years of adventures through traveling he felt called to return to New York. 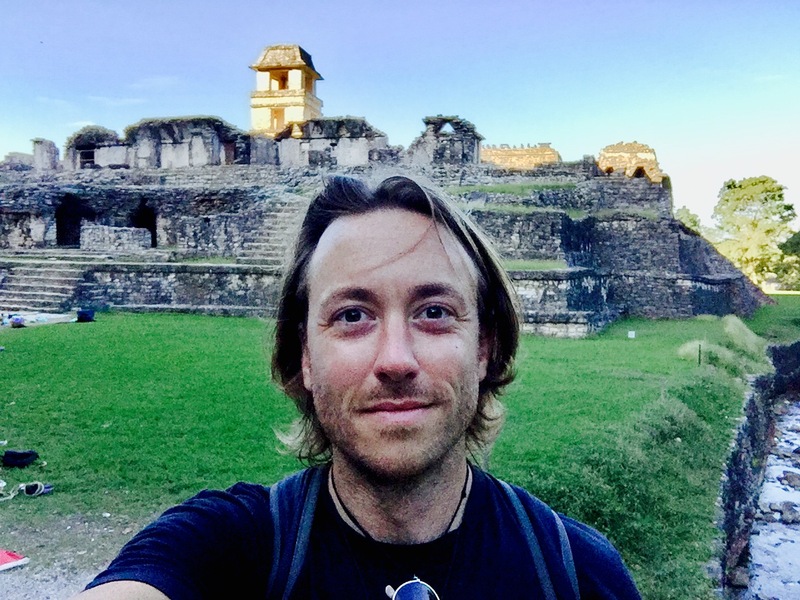 Back in his homeland he hopes to inspire others through the stories of the most inspiring people he met throughout his travels and raise awareness and funds for the 85 children in the Integral Heart Family’s school in Antigua, Guatemala. He is currently working as a senior financial analyst at Dale Carnegie and Associates in Long Island, a company he has long admired after reading the global bestseller How to Win Friends and Influence People. In his spare time, he is a contributing writer at Elephant Journal and Collective Evolution with focus on spirituality & consciousness. If you’re lucky you can catch him spinning deep, melodic tribal house & techno at random establishments in the NYC area. Was a baby, who became a boy, who became a man. Once he fought a bear. Haters later said it was “only a raccoon” and he was acting like “a little girl.” But he knows the truth, it was a baby bear and he was wearing a mask. After finishing degrees in philosophy and English in Chile, Luke, who feels like Sibyl typing this in the third person, backpacked from Chile to Guatemala, where he spent four years as Social Service Director for development organization Nuestros Ahijados. These efforts were featured on the 2010 ABC News Global Health Special: Be the Change, Save a Life. After trading editor-in-chief Matt Stabile a rookie Bo Jackson card, Luke became a managing editor for TheExpeditinoer.com. He is the author of “iPoems for the Dolphins to Click Home About” (2010), “How We Are Human” (2012) and “The Nomad’s Nomad: Intrepid Stories from the Road” (2014). He has survived two raccoon attacks to date. He currently resides in San Marcos, Guatemala and can usually be found chomping on raw cacao staring at the three sister volcanoes across Lake Atitlán as he ponders the fate of Jerry the Hamster. In addition to her work as an altruistic business consultant and conscious project manager, Cristina is a 500 RYT (Registered Yoga Teacher), certified in Shambhava Hatha Yoga, Yin & Restorative Yoga, Reiki, Sound Therapy and Bhakti Yoga. A devoted Yogini and Energy Therapist who burns brightly to illuminate others’ highest potential; her greatest joy comes from inspiring others to begin or deepen their yoga practice and ultimately their relationship with themselves. Forever a student, Cristina lives her life as a traveler, connecting intimately with ancient and modern wisdom teachings from different masters, lineages and teachers; humbled to relate with students from all walks of life & all corners of the globe.